Did you know? 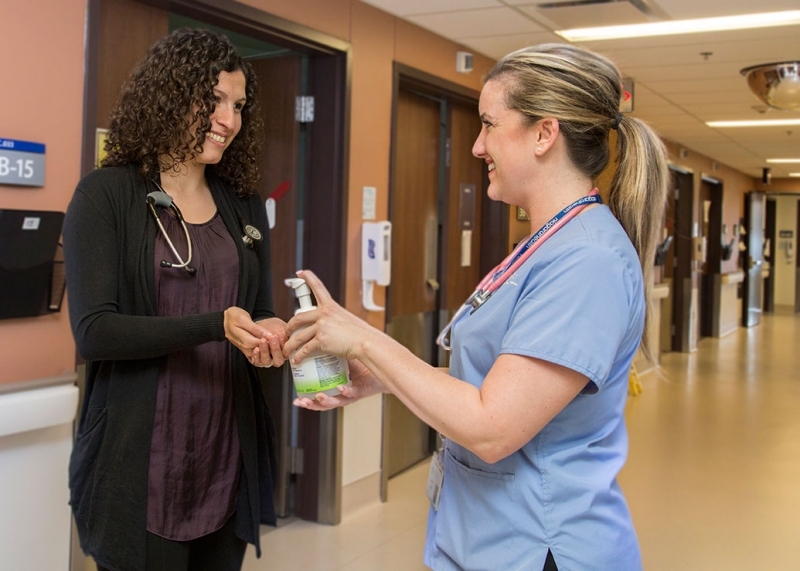 Properly cleaning your hands protects you and our patients from harmful germs and is one of the most important ways to stop the spread of hospital-related infections. To celebrate Global Hand Hygiene Day, we're reminding our patients and visitors about the importance of practising good hand hygiene. Are you washing your hands properly? Follow these simple steps to ensure a clean result! Use warm running water and soap or alcohol-based hand rub. Rub hands together briskly for 15 seconds (about the time it takes to sing Happy Birthday). Rinse hands thoroughly and dry with a clean paper towel. Use paper towel to turn off the tap. Use these tips at home too! Before and after visiting a patient. After coughing or blowing your nose. Waterless alcohol-based hand rub dispensers can be found throughout all of our sites. For more information visit our Infection Prevention and Control page.